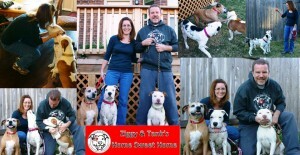 Love-A-Bull is changing the hearts of a community while saving its pit bull type dogs from euthanasia. 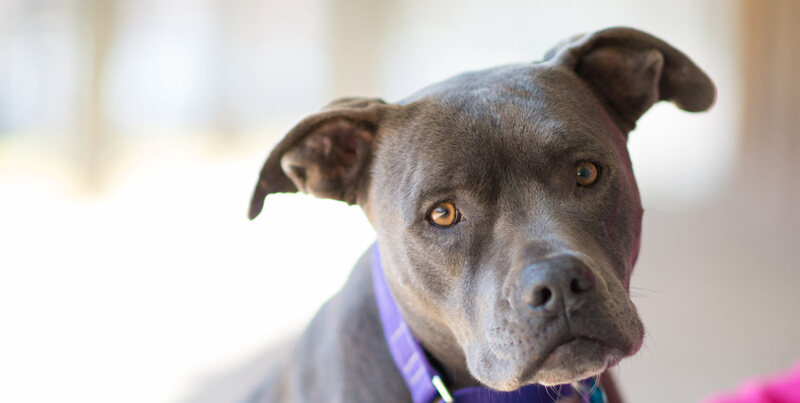 Prior to Love-A-Bulls involvement, the City of Childress, Texas had an immediate euthanasia policy for all pit bull type dogs that entered their shelter. The belief of the city was that pit bull type dogs were not wanted, nor were they welcomed within their local area. Through the hard work and dedication of Furever Friends and Rescue, the Childress, Texas Pound in agreement with the City of Childress had for the first time ever agreed to release two pit bull type dogs who were due to be euthanized, to a rescue outside of Childress County. That’s when Love-A-Bull was contacted! 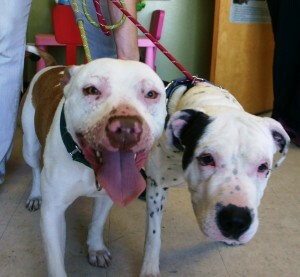 Tank (brown/white) and Ziggy (black/white) were both in horrible shape when Love-A-Bull pulled them into our foster network. Tank came into the shelter as an owner surrender and Ziggy was removed from a home after suffering terrible abuse. Tank had and still has to this day, scars and hair loss from what we were told were caused by him sticking his nose into the only corner of the kennel where he could get sunlight. Ziggy had bi-lateral entropion meaning both of her eye lids were flipped inside out and her eyes were swollen shut. Love-A-Bull pulled out all the stops to nurse these two amazing pups back to health and to show them, probably for the first time in their lives, what true love and compassion looked like. Though Tank and Ziggy had never met before, there was an immediate bond between the both of them. We knew that they would be adopted to great families, but we were elated when they were both adopted to ONE awesome family! 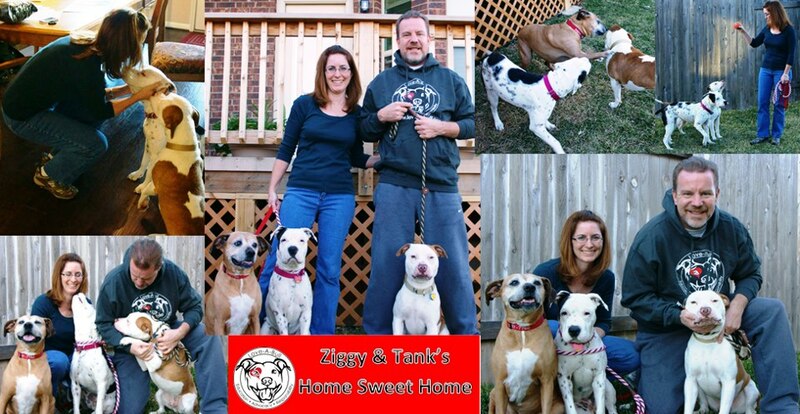 Today, Tank and Ziggy are adjusting well to life in a loving family. Tank is learning to play fetch! Ziggy is loving the couch and although she still continues to have horrible nightmares in her sleep, her new family hopes that over time, as she begins to feel safe, her bad memories will fade. Love-A-Bull continues to assist Furever Friends and Rescue and the pit bull type dogs of Childress through rescue and by funding the spay/neuter, vaccination and microchipping of dogs prior to placement or adoption, as well as assisting with the spay and neuter of dogs prior to them entering into the shelter system. This past year we were able to fund 17 Spay/Neuter procedures, which included Heartworm tests, vaccinations and microchipping. Our work in Childress is not over and through our partnership with Furever Friends and Rescue we will be working hard to educate the local community on responsible guardianship, moving towards the goal of local adoption and rescue for pit bull type dogs.